ST9100A is a single channel timer, designed primarily for control of a single heating zone or combi boiler application. 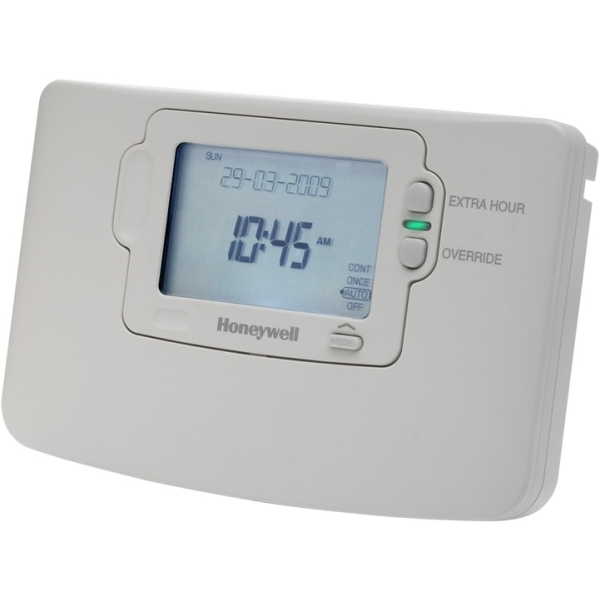 It is suitable for mains, low voltage, or potential-free switching of the heating load. This model is a 1 day timer with two on/off switchings times per day (which can be increased to 3). It can be used for combi boilers, heating zones or any application where small electric loads need switching. All ST9100 models incorporate the Line of Text (LoT) display that gives clear plain English instructions whenever any button or slider is used. This means that installers, customers and users can operate all of the controls reliably, without needing to find an instruction manual. This model has superceded the ST6100A.